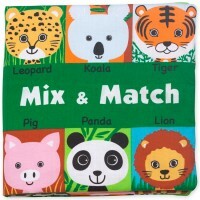 Friendly animals will introduce opposites to your baby as they flip through the cloth pages of this activity soft book by K's Kids. 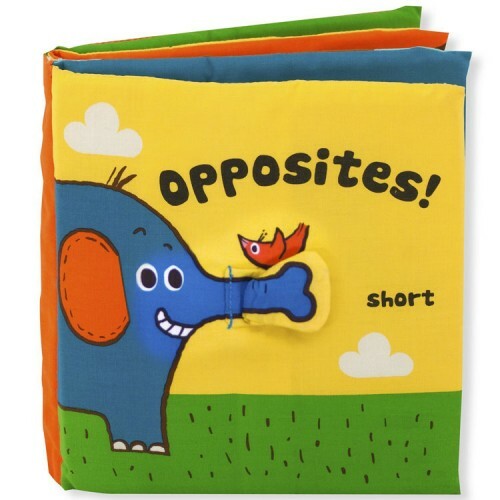 Only a genius baby can learn opposites? No, any little one who plays with K's Kids' Baby Activity Soft Book - Opposites! 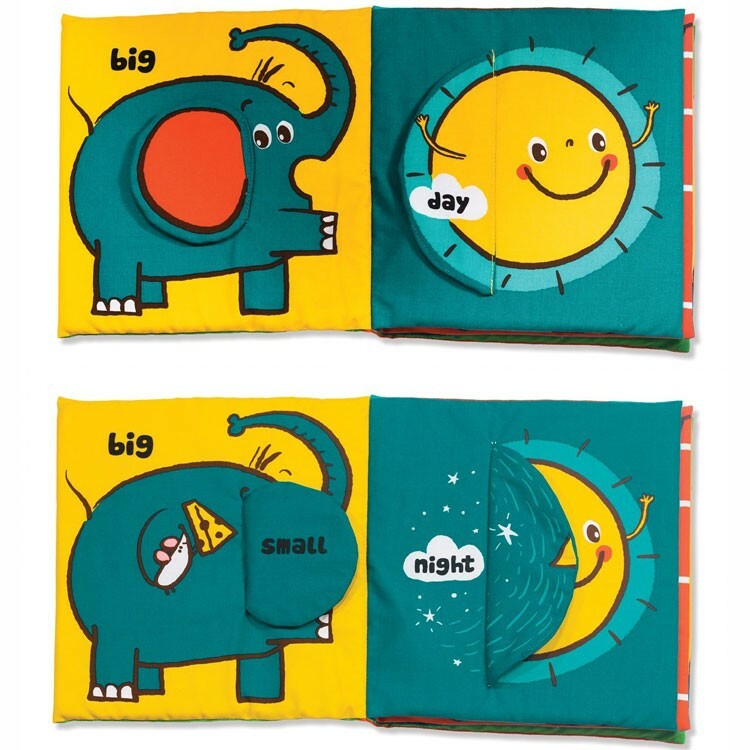 This K's Kids baby activity cloth book helps infants explore senses and introduces opposites concept to the youngest learners. 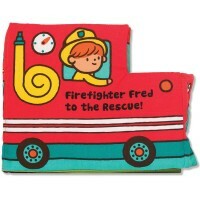 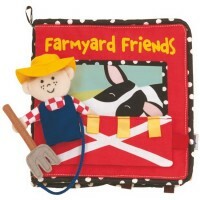 This soft fabric sturdy book features fun flaps showing friendly animals, familiar objects and other kids-friendly illustrations. 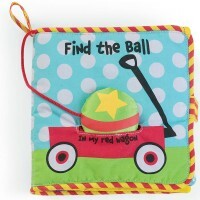 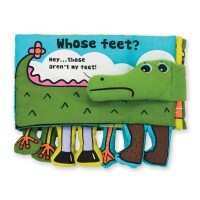 This baby cloth book crinkles and offers opposites theme activities for the little hands and curious minds. 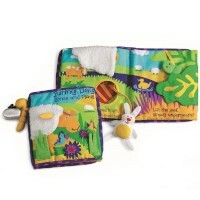 The Baby Activity Soft Book - Opposites is easy to clean - just throw the fabric-made book in the washing machine - and play with it again and again. 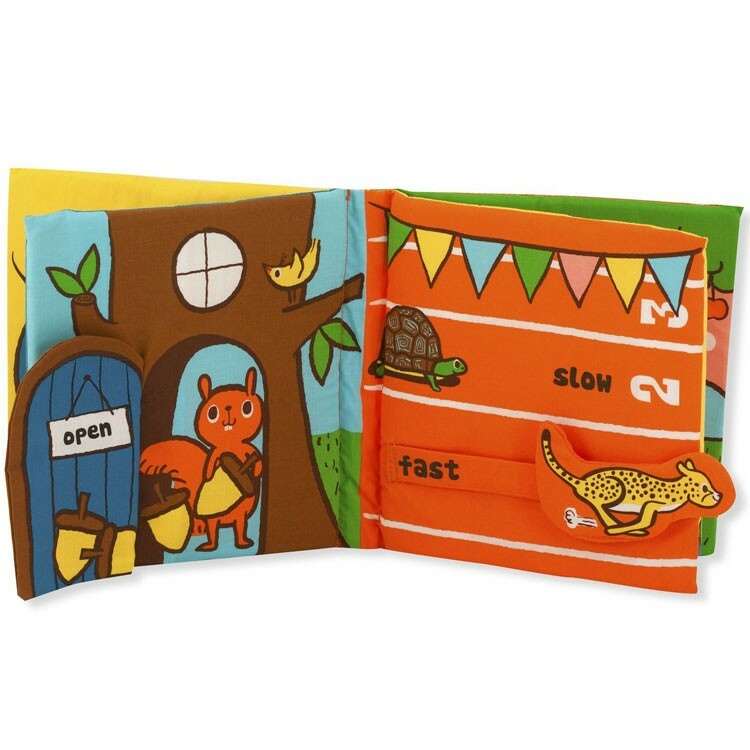 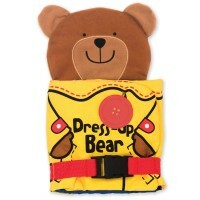 Conveniently packed in a vinyl bag with carrying handle, this baby small motor activity book is a great toy to take along in your diaper bag or baby stroller. 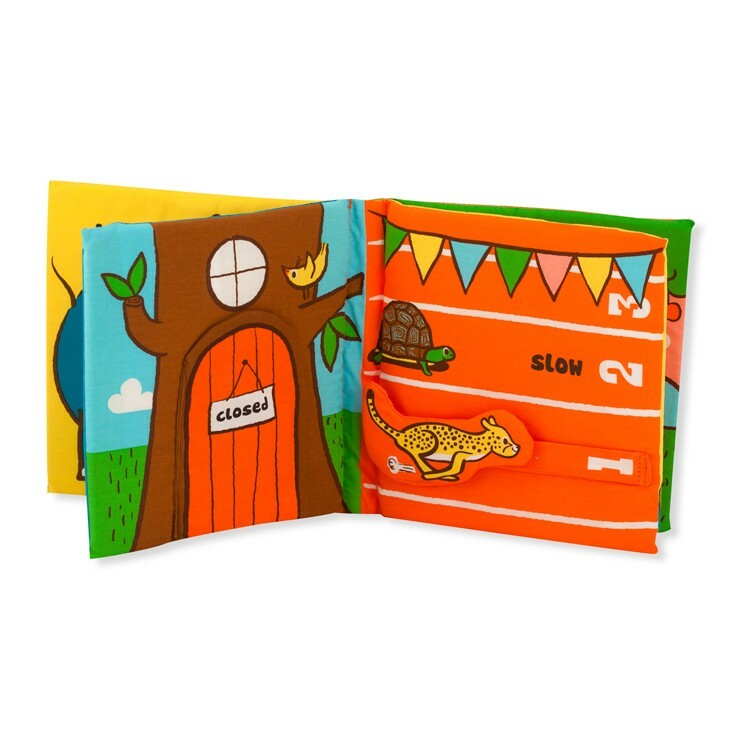 This and any other K's Kids' baby activity soft book from Educational Toys Planet is a terrific gift idea for baby showers or first baby visit. 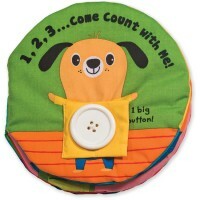 Dimensions of package 7.75" x 2.1" x 8.75"
Write your own review of Baby Activity Soft Book - Opposites.